Next week I’ll be entering my third trimester (for the third time), which means I’m just reaching that awkward point of pregnancy where I start to feel very…PREGNANT. I am reminded daily of how very pregnant I am becoming as my body goes through these beautiful, often-problematic changes. Seeing as this is my third go at the whole awkward/uncomfortable/ridiculous stage of pregnancy, I’ve learned a few tricks for keeping my head up and surviving to the end. Pay attention now, because these are actual words of wisdom. Your prenatal doctor will compel you to do this painful task at each visit, but just do yourself a favor and don’t make eye contact with the numbers on that dreadful machine. And, by all means, don’t you dare step on a scale in your free time. I have made this mistake before and, trust me, your scale will be broken. There’s simply no other explanation for the gargantuan numbers it will spew at you. Perhaps this is related to #1, but seriously. Don’t. Especially your backside. Just let your husband gush about how glowingly beautiful your preggo little self is, and leave it at that. Because you’ll pee your pants. There, I said it. Or Johnson & Johnson baby ads. Or commercial featuring Sarah McLachlan (dang you, homeless animals). If you watch these emotionally-driven, hormone-inducing programs you will find yourself in a sobbing mess quicker than you can waddle to the bathroom for a box of tissues. Because chances are, if you do, you’ll come home with at least a dozen new baby doo-dads that you just couldn’t resist. Unless you’re an acrobat or have monkey arms, it’s just not even worth trying. Because they’ll want to do all the things you can’t do: drink adult beverages, stay up late, and dance without peeing themselves. Because they won’t fit. Chances are, your feet have already grown a full size or two and trying to squeeze into those shoes will just make you feel like one of Cinderella’s step sisters. Call it like it is and invest in some nice Birkenstocks and wool socks. You will need to pee approximately once every 5 minutes, so be diligent in your toilet-locating skills. Now that you know what NOT to do, here is one thing you CAN do: relish your pregnancy and bask in the glory of your belly–savor the comfort of your stretchy pants and indulge in your free pass with junk food. After all, if pregnancy can’t be glamorous, at least it can be fabulous. 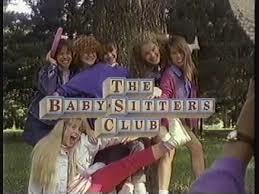 When I was a teenager I spent quite a few evenings and summers doing what all teenage girls do: babysitting. I’d go over to so-and-so’s house and play games and eat Mac ‘n Cheese and watch movies with their overly-rambunctious children so they could go out and do whatever it was that grownups did when they left the house without their children. It was a decent gig for making extra cash, and served double-duty as birth control during my formative years. Fast forward a couple of decades and now I’m the one with the rugrats. I have a new and profound respect/admiration/deep personal need for babysitters. One of the first things I do when we move to a new neighborhood is to start scoping out the teenage girls in the area for prospective babysitter material. And when I find one–BAM!–it’s like we’ve hit the jackpot. Because as every parent knows, a good babysitter = freedom. Ask your friends to share their favorite babysitter contacts with you. Important points to consider should be: Is she available–like, now? Can she handle the on/off switch on your TV remote?Can she dial 911 in an emergency? Sold and sold. I learned this painful lesson early on. There is nothing–NOTHING–worse than starting your “night off” fighting traffic both ways to pick up a babysitter who lives across town or ending your special date with a late-night solo drive in the dark when all you want to do is curl up in your jammies and dream of sugar plums and that margarita you enjoyed with dinner. Find a sitter who lives within 5 minutes of your front door or–better yet–who can drive herself to your house and fight the traffic and the Z’s herself. Your toddler’s nap time and after your kids’ bedtime are YOUR times. Don’t give away those precious hours to a babysitter. Choose the least convenient time of the day to get the heck out of there–say, right when your (not so) bright-eyed and bushy-tailed toddler awakes from his nap, or the witching hour leading up to dinner. Make ’em earn those $10 (or, if you live in the Bay Area, $20) per hour. Let your kids know how exciting a new babysitter will be. Someone will finally sit there and play Toy Story with you for an hour and read If You Give A Mouse A Cookie 36 times in a row! She will, because I’m paying her to. You’re welcome. It’s nearly impossible to actually let loose and enjoy yourself when you know you only have 2 or 3 hours of freedom before you have to return to reality. So, when in doubt, fake it. Wear clothes that are impractical for nursing and/or covering up kid-crud stains. Listen to loud music with non-rated-G lyrics while you’re driving. Talk about things that aren’t related to eating habits/poop/sleep schedules/cute childhood antics. Drink an adult beverage. Or two. Put your cell phone away (remember, the babysitter knows about the whole 9-1-1 thing). Take small, leisurely bites at dinner and savor the hot-ness of your food. Relish in the fact that you can enter and exit your car in approximately 2 nano-seconds. Sit in silence. Ah, go all in–take a NAP. Leave extra snacks in the pantry and tell her to help herself. Be punctual. After the gig, send her a thank you text with cute smiley emojis. Let her know how much your kids LOOOOOVE her. Do whatever you can to convince her that–after what was probably a mildly-traumatic experience being left alone with your most-likely out of control children–she should definitely come back and do it again.